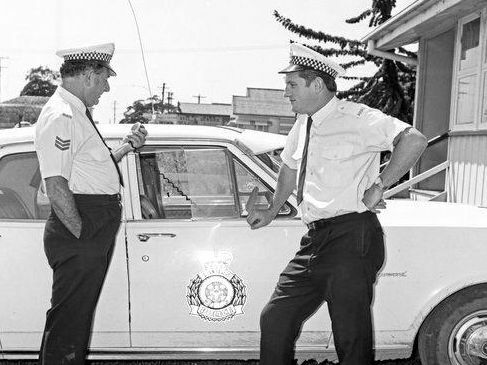 RETIRED policeman Steve McReight remembers when his first task in the morning was to listen for the radio broadcast announcing licence plates and details of wanted persons. Steve would type 13 letters to regional police stations which would be posted that day, many of them delivered days later. "Every hour, on the hour, they'd put out what they'd call GBs, or General Broadcasts, and it was my job as a rookie officer on station duty to write them down in a book and type them up,” he said. Now most police have iPads and a suspect's image or car registration is communicated immediately to the entire police force. 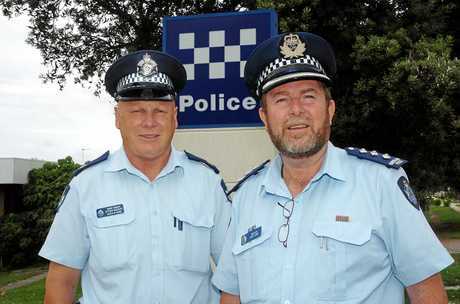 A policeman of 40 years experience, Mr McReight was officer-in-charge at Noosa Heads police station from 2003 to 2017. He says Noosa's not a violent place, and most crime is opportunistic. In the 1980s assaults, traffic accidents and serious property crime where homes had all their furniture and belongings stolen were common, he said. "Today, from my very first shift to my last one we have what we call crimes of opportunity - where you might leave your car unlocked and someone will take stuff from your car,” Mr McReight said. "Unfortunately a lot of people come up here on holidays and they tend to forget their self-protection. Mr McReight said assaults in entertainment areas like Hastings St had been an issue into the 2000s but police were able to drop the assault incidence by about 30% in a matter of months by working with the local council to improve street lighting and introduce taxi wardens to supervise taxi ranks. More drug labs have been found in recent times, which he attributes in part to an increase in the community coming forward with information. "Drugs have always been here, since the early '80s, but there wasn't the variety there is today,” he said. "In my day it was just simply marijuana and a little bit of heroin was starting to creep in. 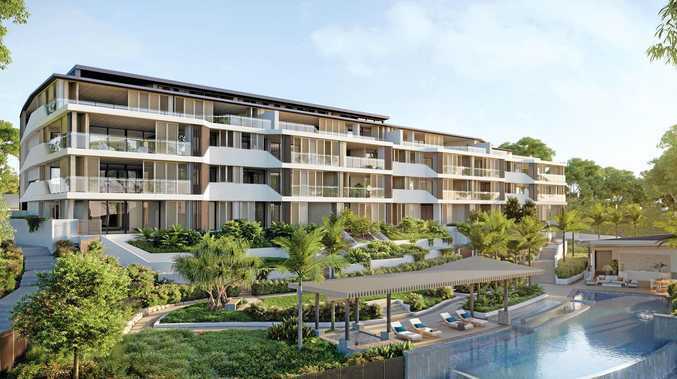 He said people living in Noosa had come from all over the country and world and had great skills they brought to the community. "What I've found as a police officer is those people are prepared to be good citizens and where necessary assisted us,” he said. Mr McReight was an active surf lifesaver, as is current OIC Ben Carroll, and other officers were involved in various clubs. 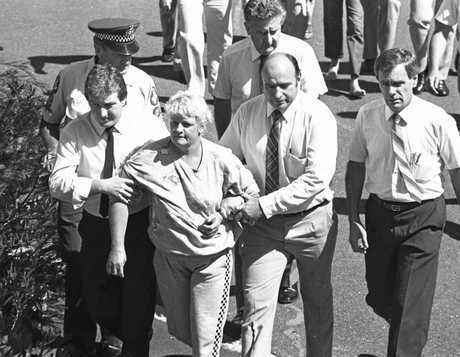 Nothing rocked the Noosa community more than the murder of schoolgirl Sian Kingi in 1987. The 12-year-old Sunshine Beach State School student was riding her bike past Pinaroo Park in Noosa Junction when a woman pretending to be looking for her dog lured her into the bush. She was set upon by the woman's male partner, bound and gagged, and taken to Tinbeerwah forest where she was raped and murdered. A fruit picker discovered her body, still dressed in her school uniform, six days later. A mother of six, 44-year-old Valmae Faye Beck and her partner, 34-year-old Barrie John Watts were convicted of the murder. At the time, Noosa Heads officer-in-charge Senior Sergeant Ben Carroll was training to join the police force. He remembers vividly reading the brief of evidence prepared by one of the investigating officers, Bob Atkinson, who went on to become Queensland Police Commissioner from 2000-2012. "It was a terrible, terrible crime,” Snr Sgt Carroll said. He said combined with the disappearance and murder of 13-year-old Daniel Morcombe from Woombye 16 years later in 2003, parents in the region are now very wary of children being outside on their own. "Noosa was always a pretty relaxed (place).. and when that happened it really changed the mindset of the community,” he said.